This week, I decided to look through my growing collection of photos and choose some that have caught my imagination but that I have not shared with you yet. Some I know about and others remain a total mystery. 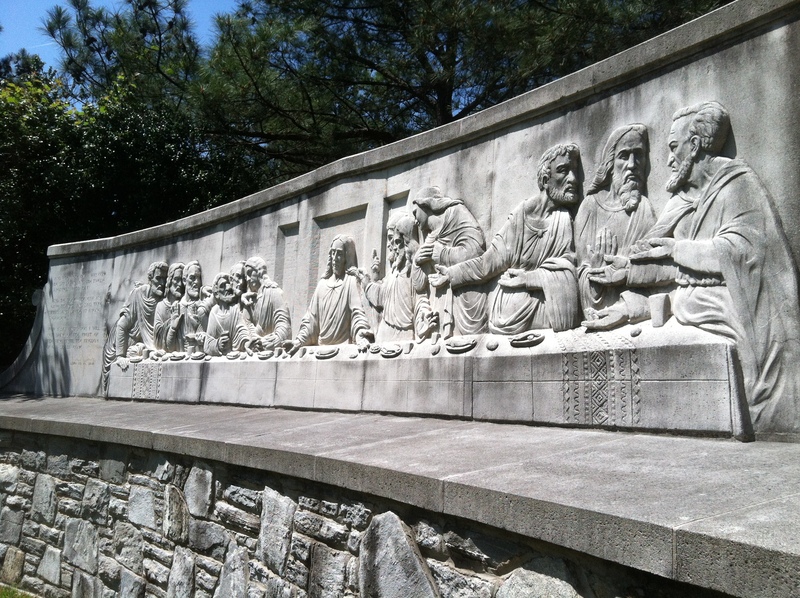 Near the entrance of Westview is a large panoramic sculpture of the Last Supper. It’s quite elaborate and detailed. German-born Fritz Paul Zimmer made Atlanta his home. He operated his own art school and was a professor at Oglethorpe University. This sculpture of the Last Supper by German artist Fritz Paul Zimmer is eye catching. I don’t know anything about Walter Andrews (besides the fact he was a big wig in the Elks Lodge). But I really like the art deco style of his monument, from the font of the words to the clean lines. It’s something I don’t see often. The art deco style isn’t something I often see on a monument but it always makes me stop to look. I don’t remember whose monument this anchor was on. But I was clearly taken with the detail on it. The authentic look of the rope and the iron makes it look almost real. 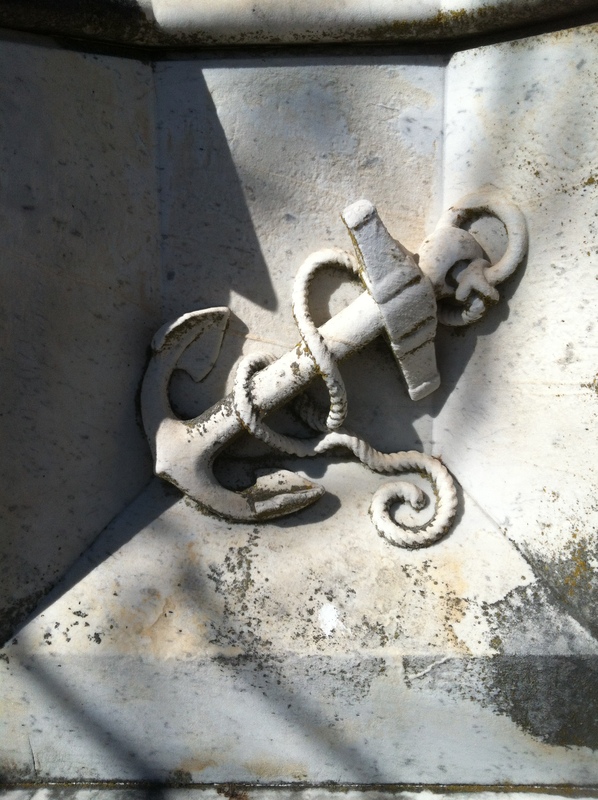 The detail in the carving of this anchor is amazing. The day I took this picture the sky was a vivid white. From the angle I took it, the eyes look pensive and full of thought. It really stands out for me. The sculpture of St. John the Baptist against the plain white sky gives it a stark, bare look. I could share a hundred photos from Oakland Cemetery, the grand dame of cemeteries in Atlanta, and still not get to them all. There are just too many interesting images to limit to a blog post. 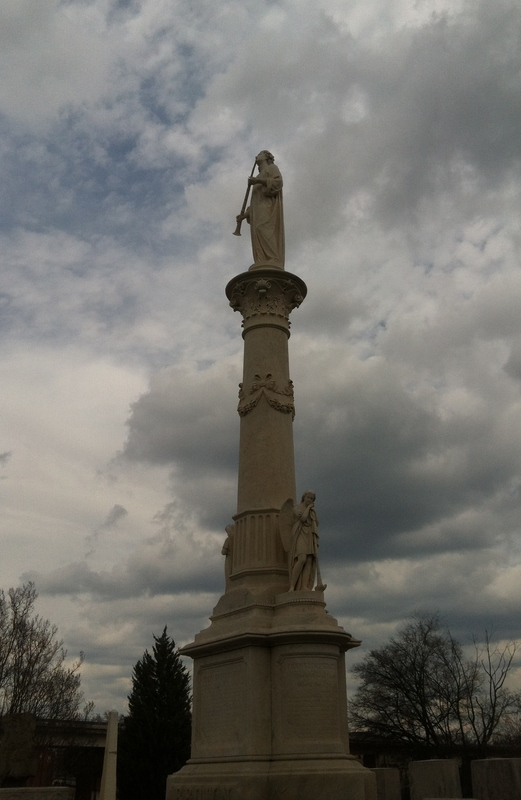 When I took a tour of Oakland last spring, the guide told us that during the awful tornado of 2008, the monument pictured below sustained damage. The tall spire literally crashed to the ground. But with loving care, it was restored. The angel leaning on his trumpet is beautifully detailed. 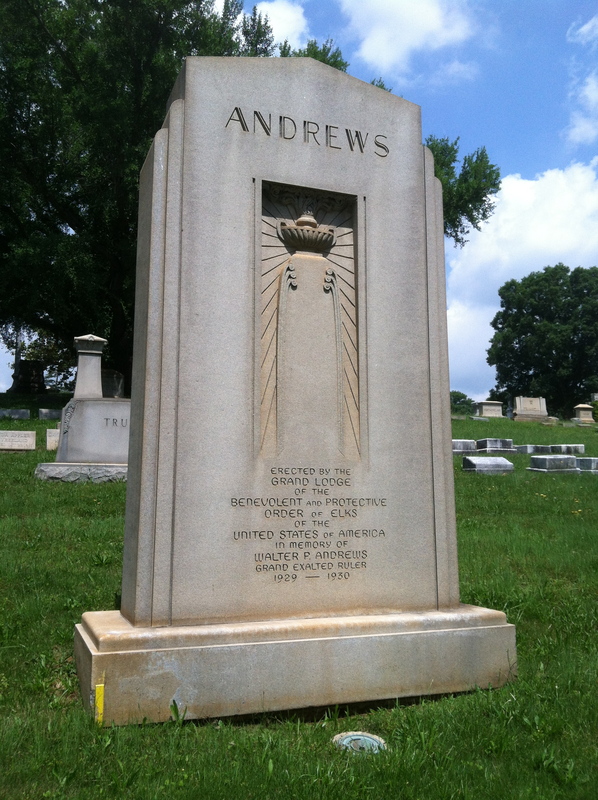 This monument at Oakland Cemetery was damaged during the a tornado but has been restored. 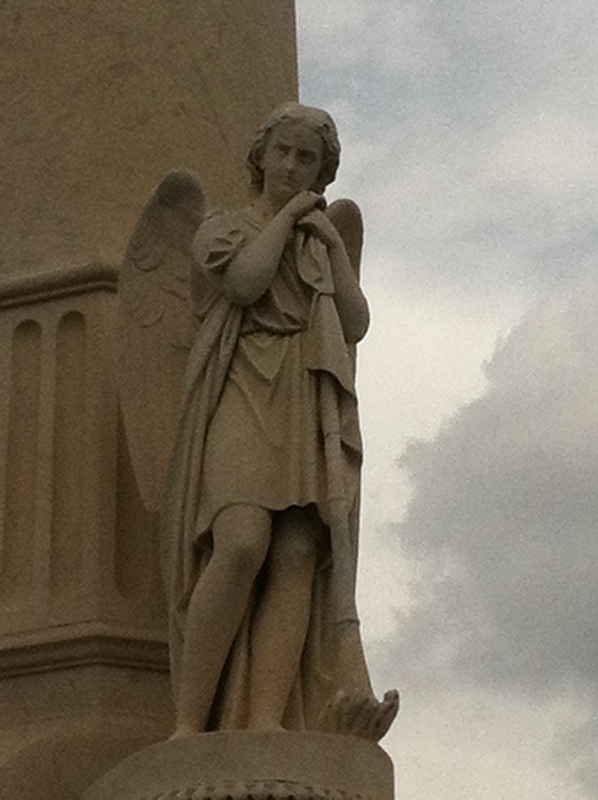 An angel leans against his trumpet at the base of the monument. 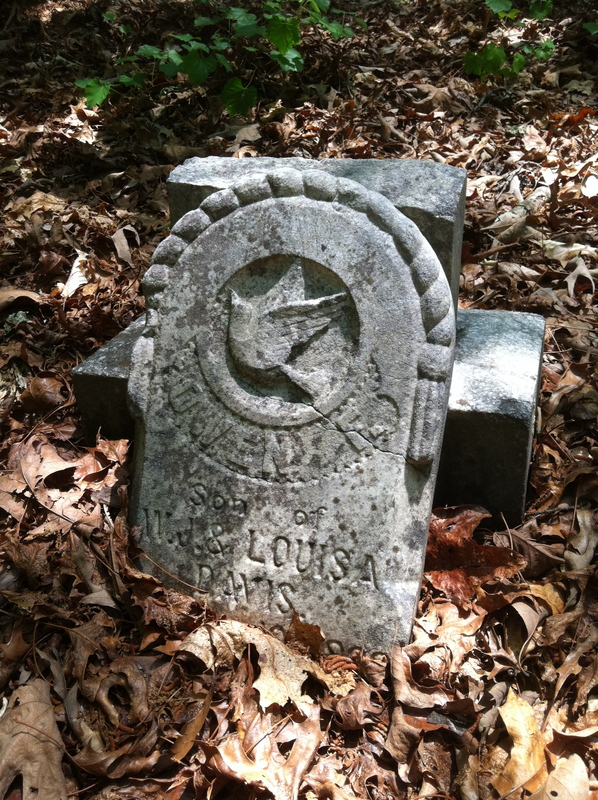 Last spring, I spent several days photographing Sugar Hill Baptist Church Cemetery up in northern Gwinnett County. This grave is a modern one and I’ve seen a few other examples of it but it still grabs at my heart when I see it. The image of the weeping angel, face hidden in grief, is stunning. 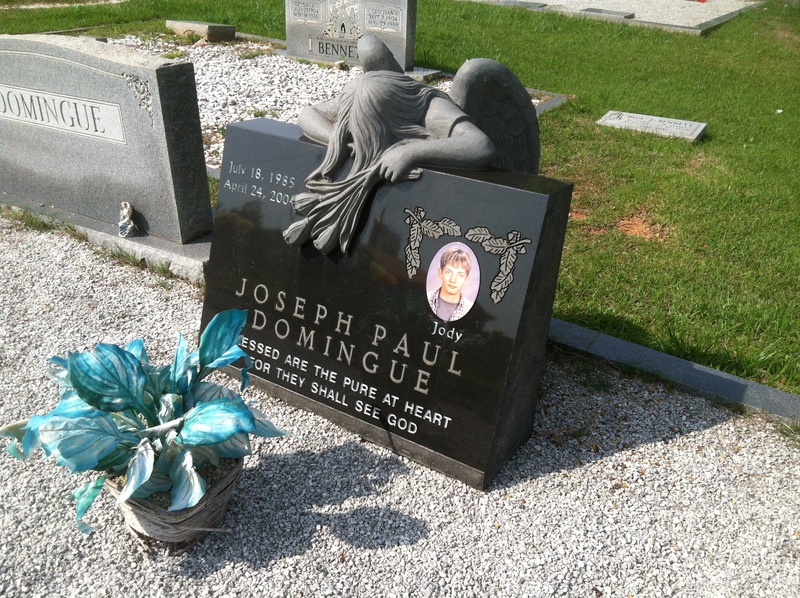 Joseph “Jody” Paul Domingue wasn’t even 20 when he died. He was on a construction site digging a deep trench that wasn’t properly braced. It collapsed on him and he was killed. The angel crying over his grave seems very fitting for this young man’s short life. Over the summer, I spent a few days photographing Fellowship Primitive Baptist Church Cemetery in Tucker (near my home). While nosing around in the wooded edge of the property, I found this little plaque. 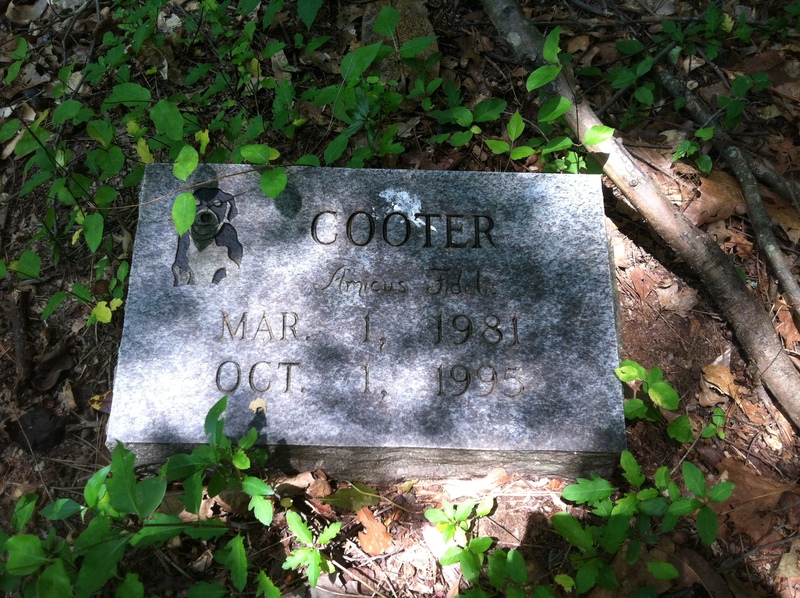 Cooter the dog was clearly a well loved pet, although I’m not sure his burial was approved beforehand. I don’t find pet graves in human cemeteries very often. There are a few at Oakland. I think Cooter was probably buried in secret without anyone seeking permission. But even if they had, I don’t think anyone would have said no. Having lived a long life, Cooter was clearly loved. I’ve seen hundreds of monuments for little children who have died far too young. But the one of six-year-old Mary Ruth Britt sticks with me. The downcast face of the angel, her folded hands. It’s one of the most interesting in the cemetery. 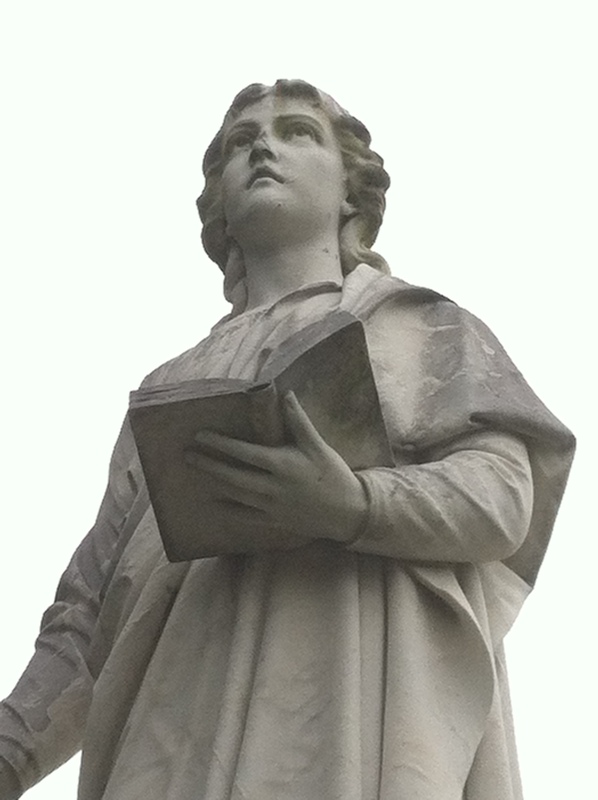 The monument for little Mary Ruth Britt is memorable. 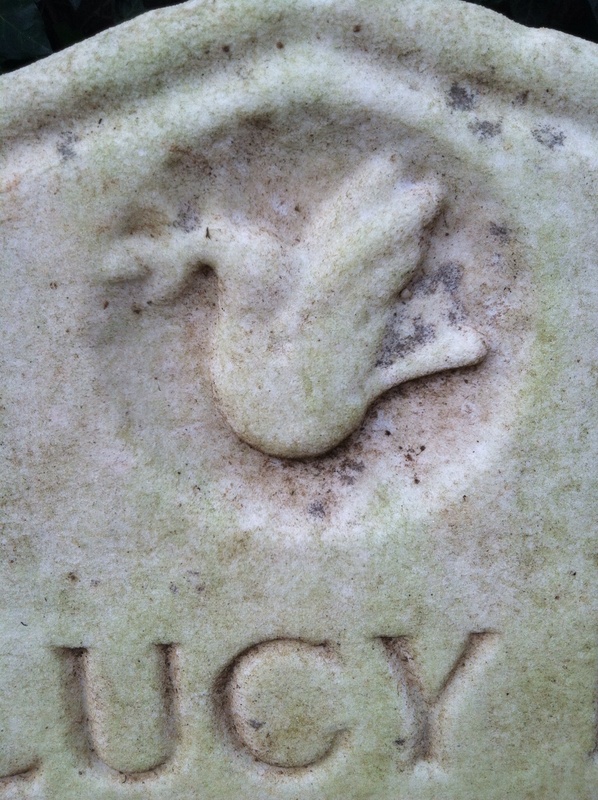 The symbol of the dove is quite common in grave symbolism. But I still find the differing styles very interesting. 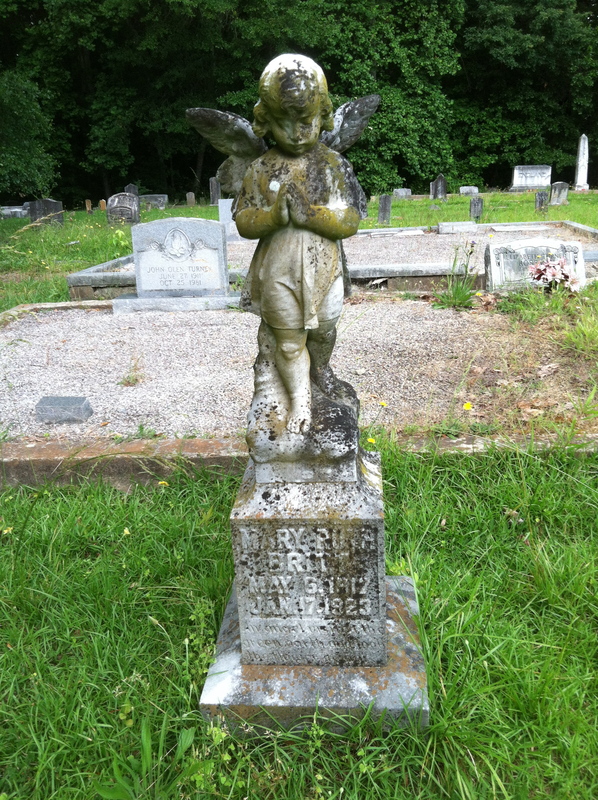 This one is at Phillips Cemetery in rural Fayette County. This broken monument features a dove motif, a symbol of peace. 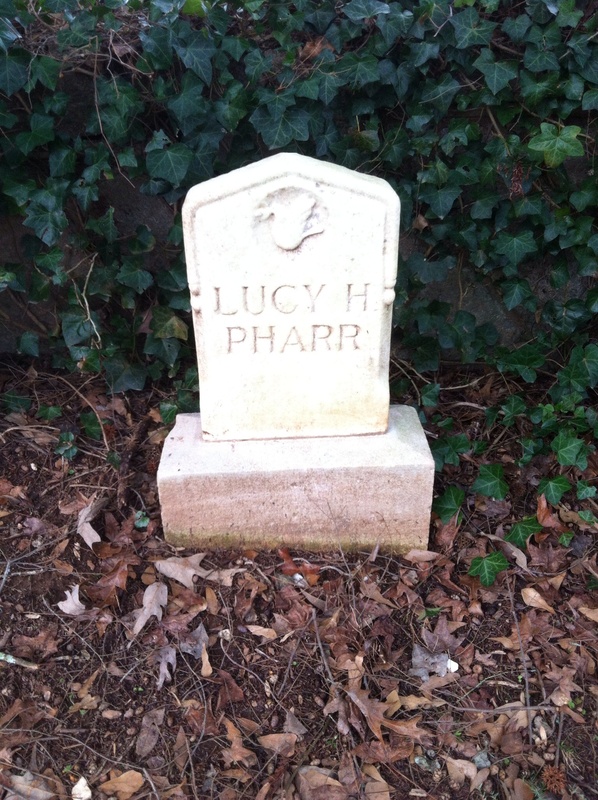 Lucy Pharr is buried at Decatur Cemetery. Her grave has no dates on it. But the carving of a delicate dove clutching an olive branch in its beak speaks volumes. 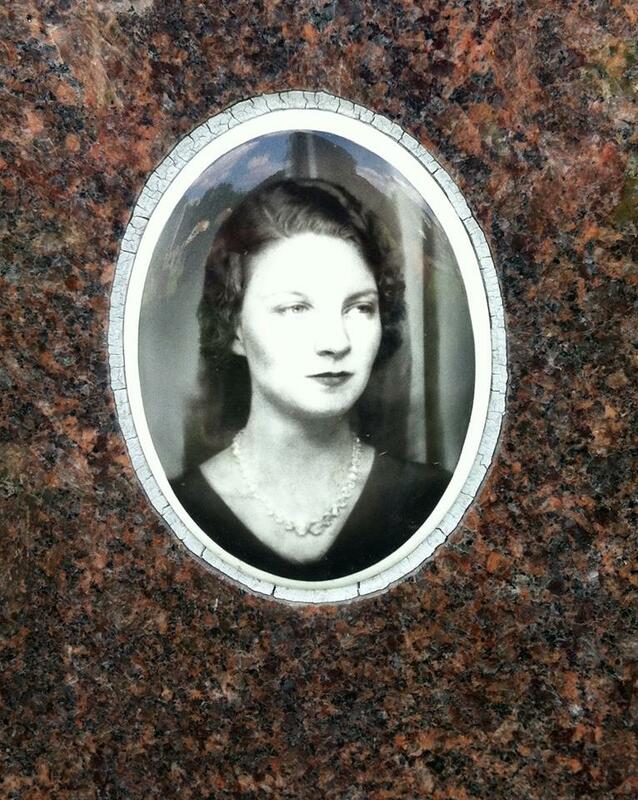 Lucy Pharr’s grave has no dates on it. Military-themed monuments can be many styles. But this one from World War I is unlike any I have seen before or since. 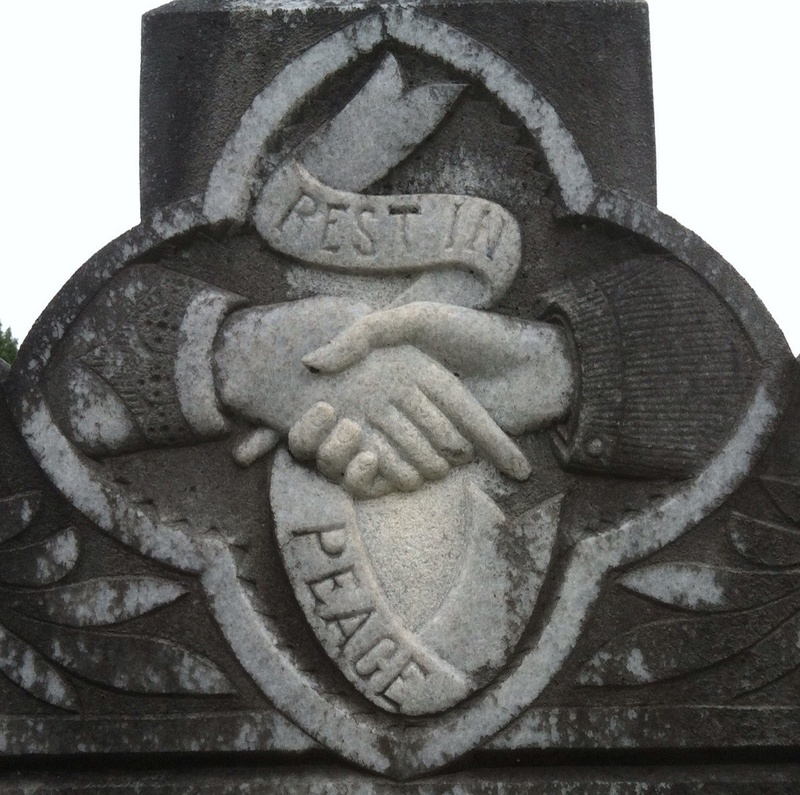 I see monuments with the image of clasped hands on them a lot. 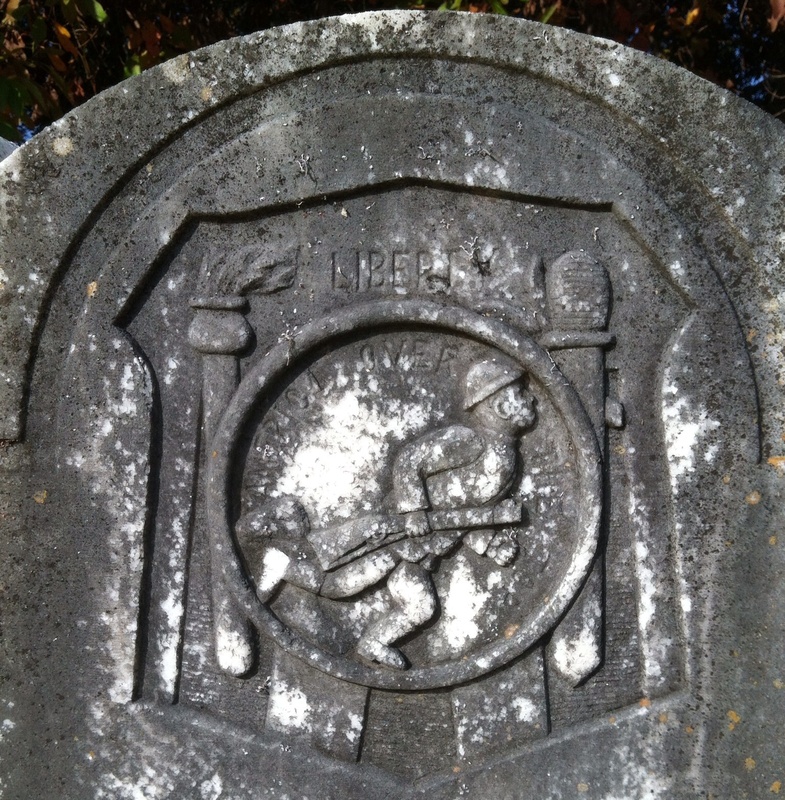 But this one from a church cemetery in North Georgia is especially well done. The detail on the lady’s dress cuff and the gentleman’s sleeve is unique. I’m not sure why, but of all the “clasped hands” carvings I have seen, this is my favorite. I love visiting cemeteries in other states because I get to observe monument styles and cultural differences that I don’t find in Georgia. This was evident at St. Mary’s Mount Cemetery in Kansas City, Mo. 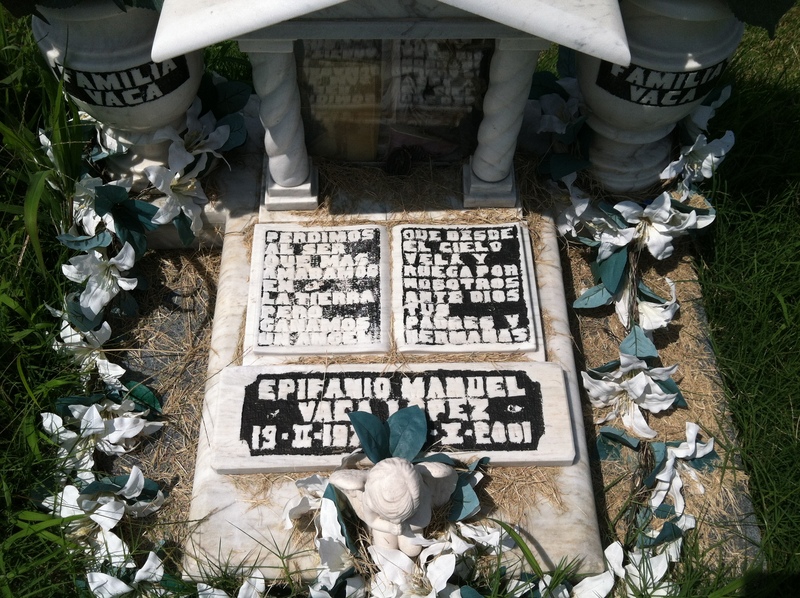 A Catholic cemetery dominated by Italian and Irish families, there’s a lot to look at. I’d never seen a grave like this with a sort of shadow box on it before. There were a few examples of this temple-shadow box type of headstone at St. Mary’s. I don’t know what the cultural significance of it is. I don’t know if it’s Italian or of Hispanic origin. But it got my attention. 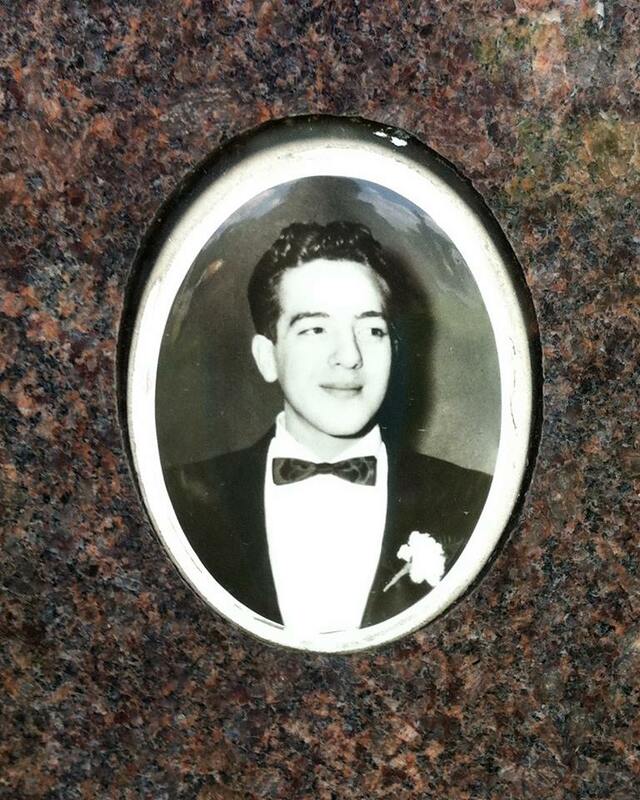 St. Mary’s also has many Italian graves that feature portraits of the deceased. Some of the faces are dour and serious. Others are more lighthearted. But it’s a wonderful way to get a better sense of who the person was. Here are two of an Italian couple. The woman’s expression is rather enigmatic. Regal, perhaps? Her husband looks happier than she does. Charleston, frankly, blew me away. There’s enough for a cemetery hopper like me to absorb to last for years. I could visit often and never see it all. Still, there are some other images I want to share. 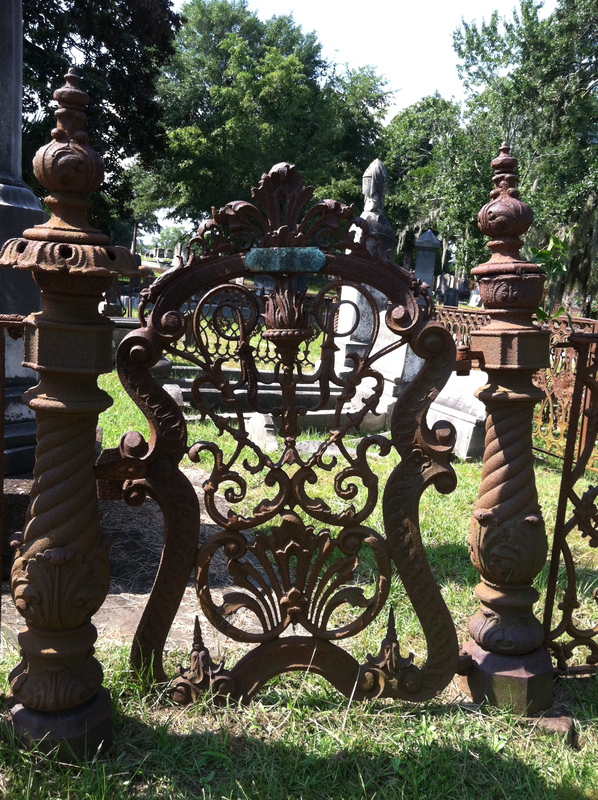 Magnolia Cemetery is especially interesting. 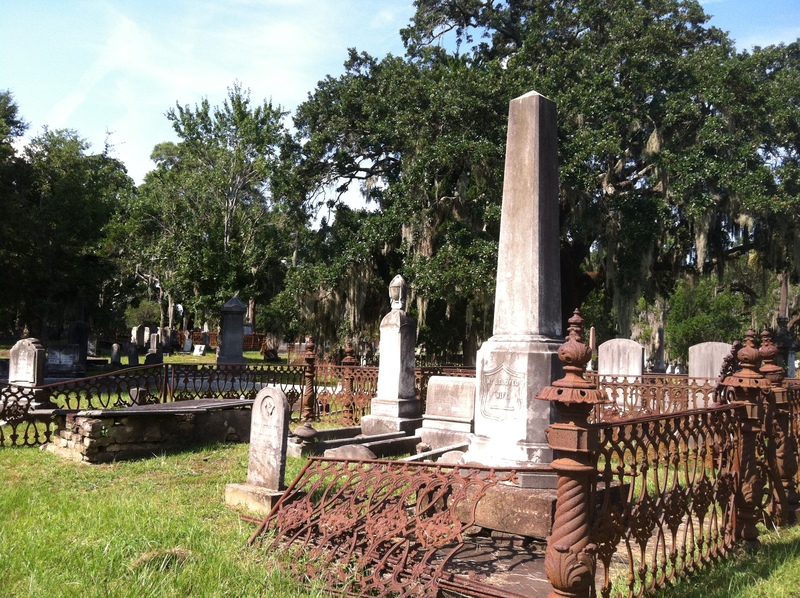 The decaying iron fencing around this family plot is common around Magnolia Cemetery. As you can see, the intricate wrought iron fencing around this plot is falling to pieces. The elements and lack of care are part of it. Magnolia is a large, old cemetery with not many people to care for it. Or money to restore parts of it. This rusted gate stands sentry over loved ones from the past. The detail that was put into this mental work was astounding. It’s sad to know that it’s slowly falling into disrepair, never to be restored. At Decatur Cemetery here in Atlanta, they did something about a much loved grave whose surrounding iron fence was falling apart. 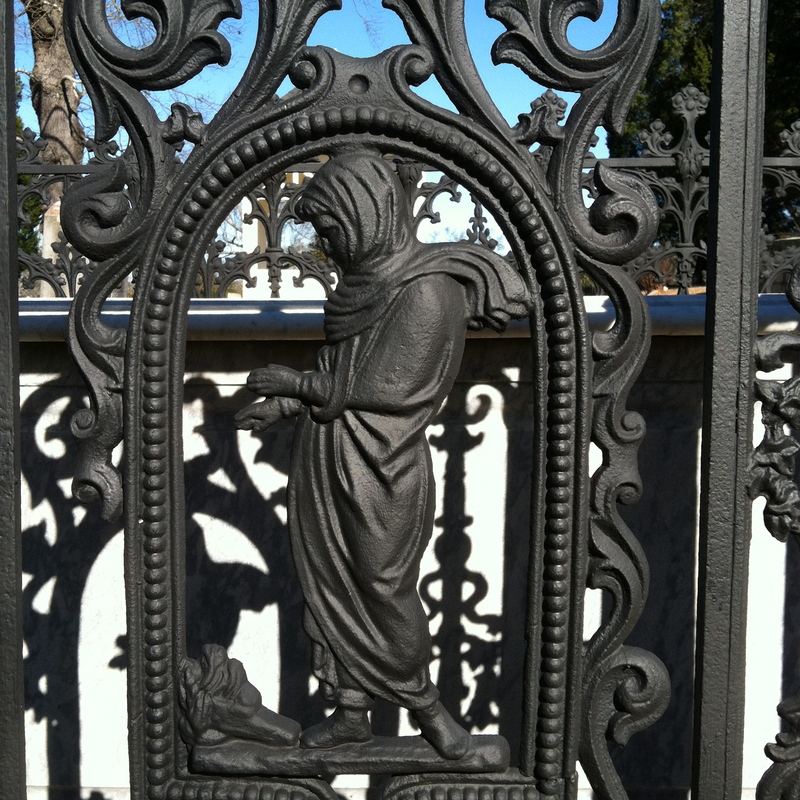 With support from the Friends of Decatur Cemetery, a local blacksmith restored the beautiful iron work. What could have been lost forever has been restored at Decatur Cemetery. This is the grave of Emily Pittman, who died in 1853 at the age of 21. I could keep on sharing photos for hours but I’ll end here. I hope you’ve enjoyed this pictorial journey of different monuments, unique styles. I’ll do it again (with new photos) another time. Love this! I really like the Liberty stone with the solider carved on it. It’s amazing the amount of detail that is able to be carved in stone. So glad you liked it! That one really grabbed me. I think the WWI vets get forgotten sometimes. Enjoyed this journey and reading about your recent hopping. I especially like your print with St John the Baptist and the stark sky. That is high praise coming from a talented photographer like you! Thank you!